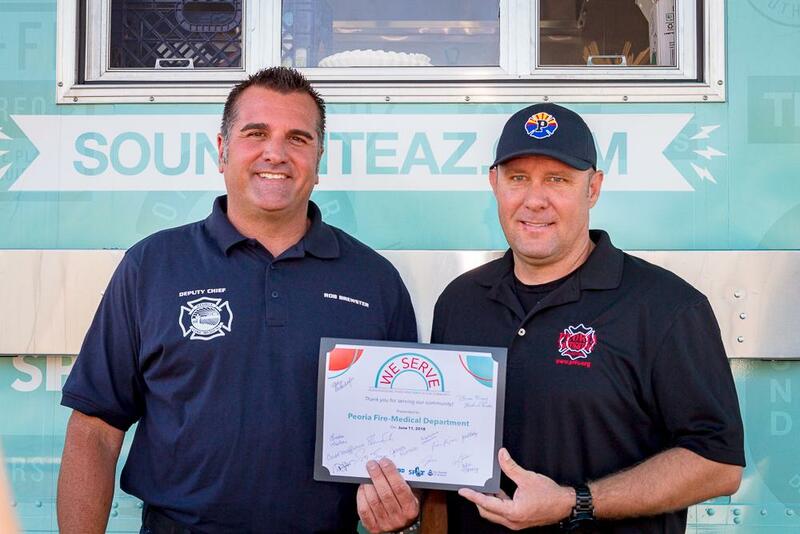 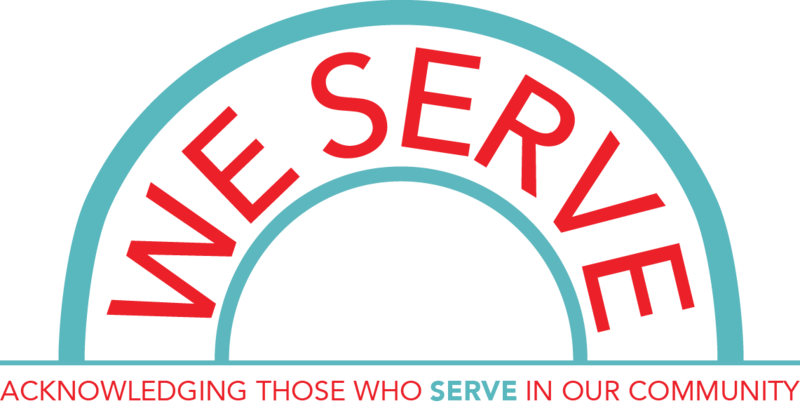 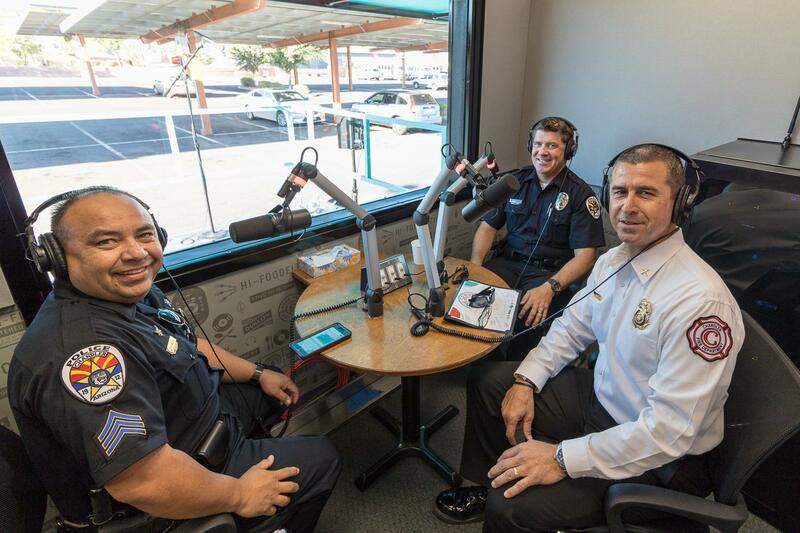 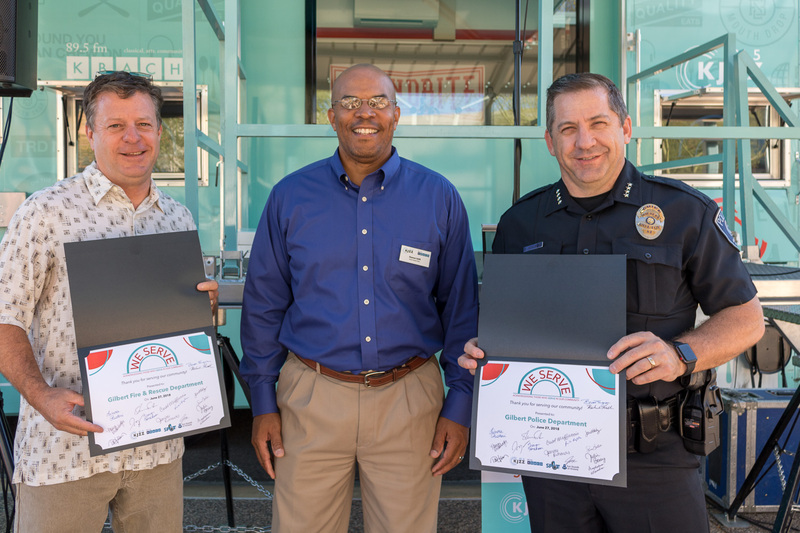 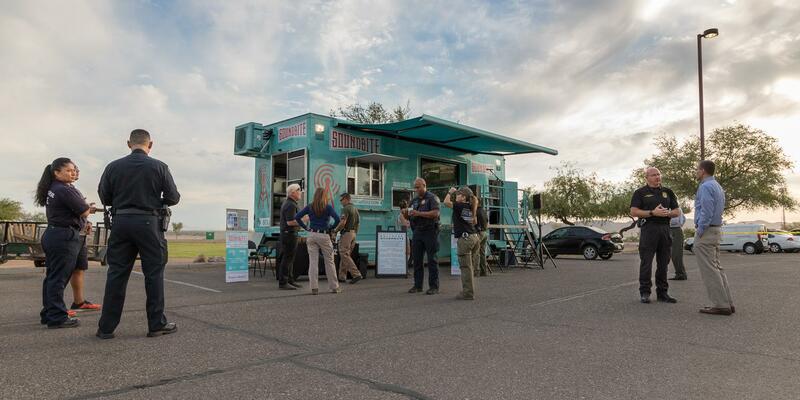 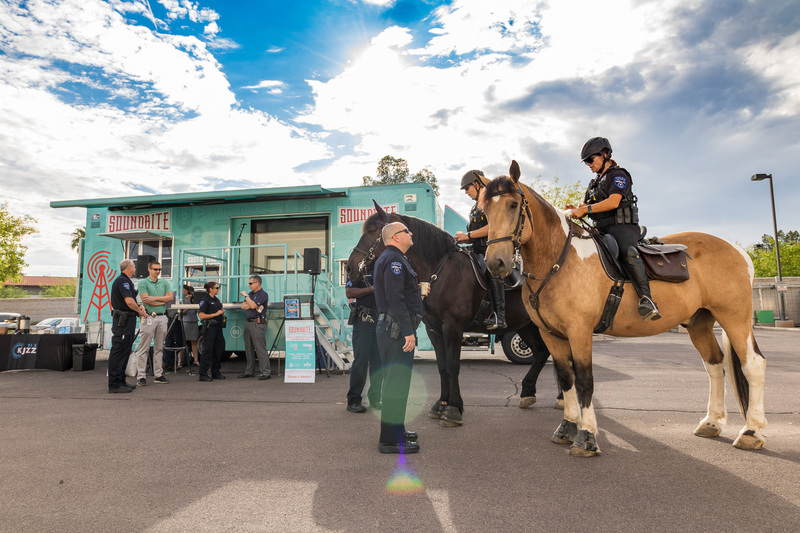 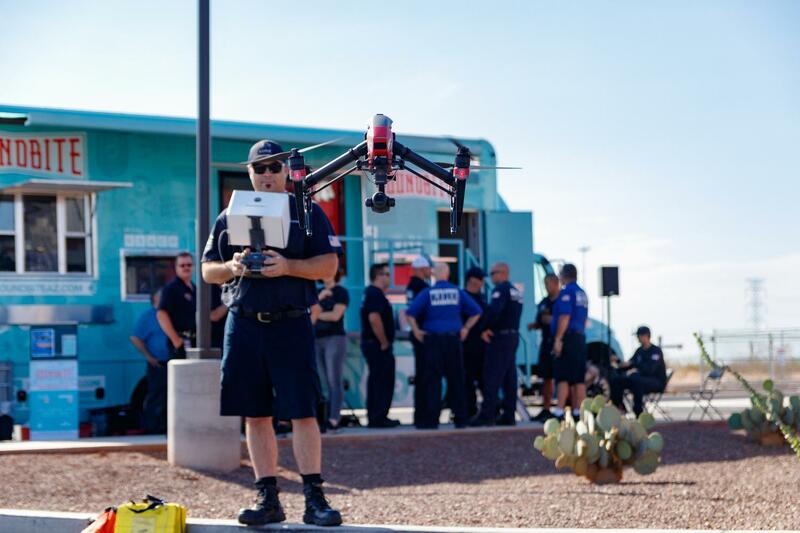 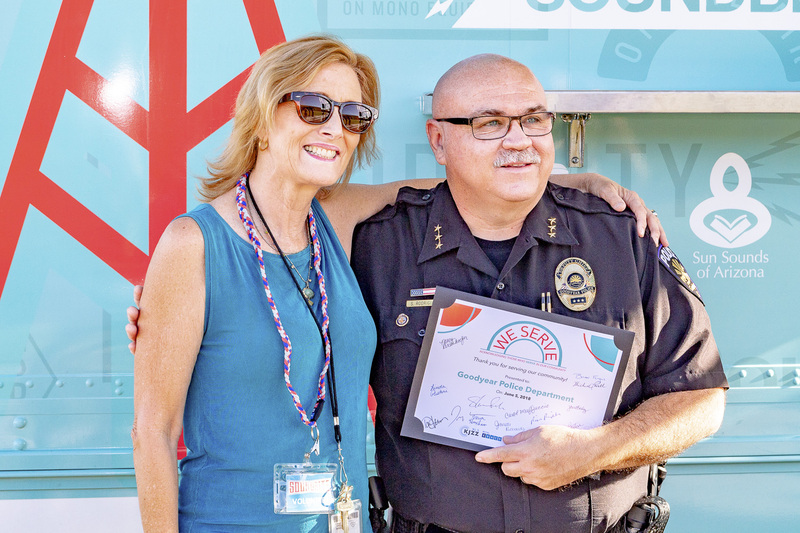 K-BACH acknowledged those who serve in our community by taking Soundbite, our mobile production unit–food truck, to fire and police stations across the Valley in the summer of 2018. 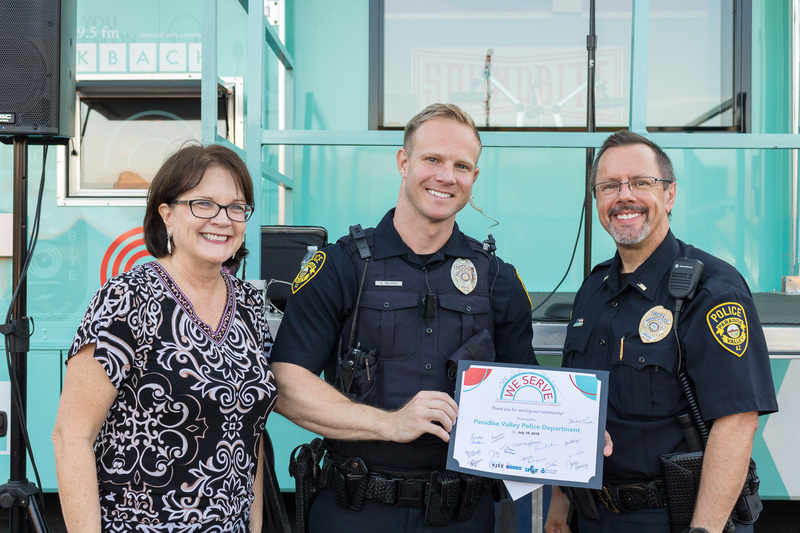 We honored our public servants by providing coffee from Press Coffee and doughnuts from Short Leash Hotdogs + Doughnuts. 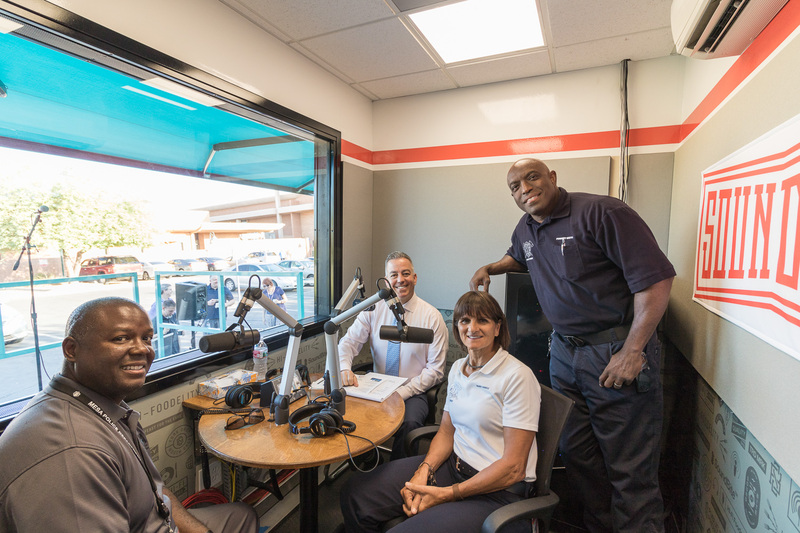 We also gave those we visited the opportunity to share how they serve the community by recording a testimonial in our production studio. 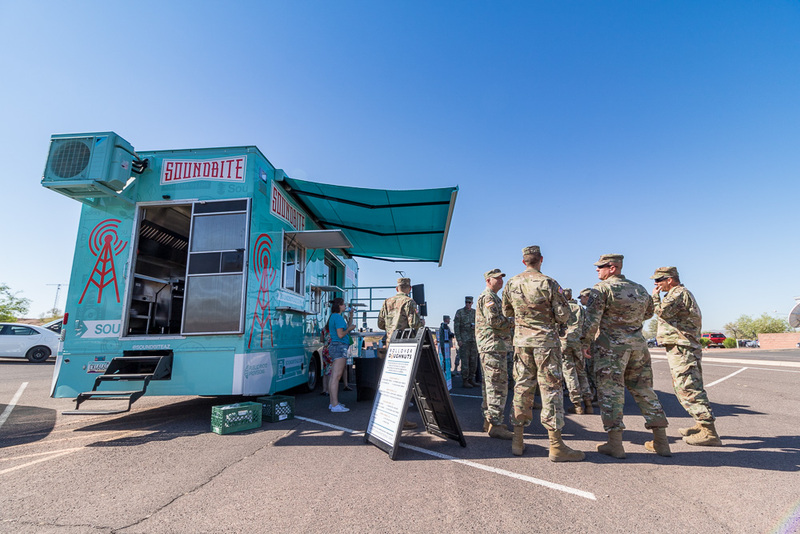 To learn more about having Soundbite at your event, business or organization, check out the Soundbite website.